M is for Moo! 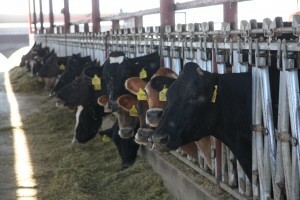 Why do cows moo? I’ve had lots of cow-related suggestions for the A to Z series — so many that I think some friends may do a whole cattle series next year! Just think, there is alfalfa, beef, cheese, dairy, etc. but I decided to go for a simple word on cows and its probably the first thing I ever learned about cows. The sound they make (at least for Americans) is moo! 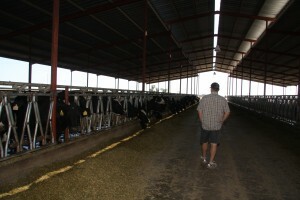 My first trip to a dairy farm was a year and a half ago. 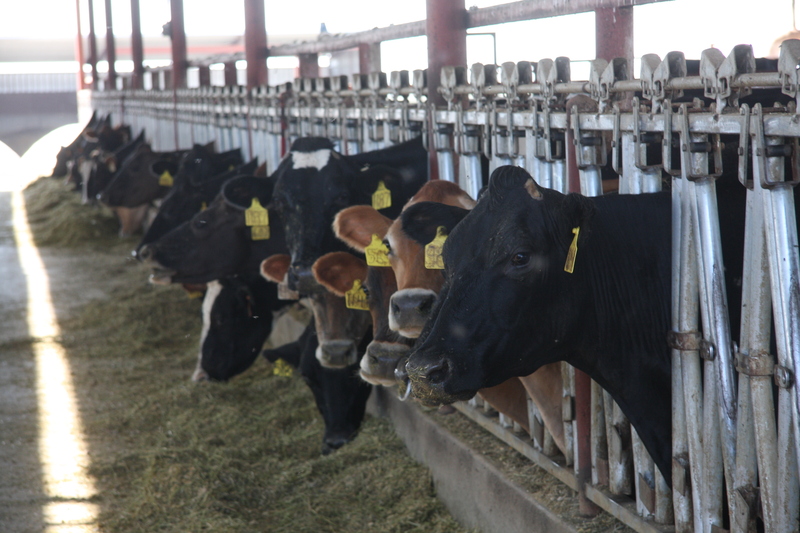 And even though I’d seen cows along the levees now and then, and had been to a livestock show, I hadn’t been to many farms where cattle were the major thrust of the operation or the conversation for me. The visit included several different conversations that were so basic. We of course talked through what do cows eat as we watch them much their rations. But something that I didn’t expect was how quiet the barns were. I found myself to be the only one mooing! Ray was nice enough to tell me cows only moo when they are scared or something is wrong, so I guess they are happy cows! You can see a bit of video I shot and you can hear Ray and I although you won’t hear much from the cows! 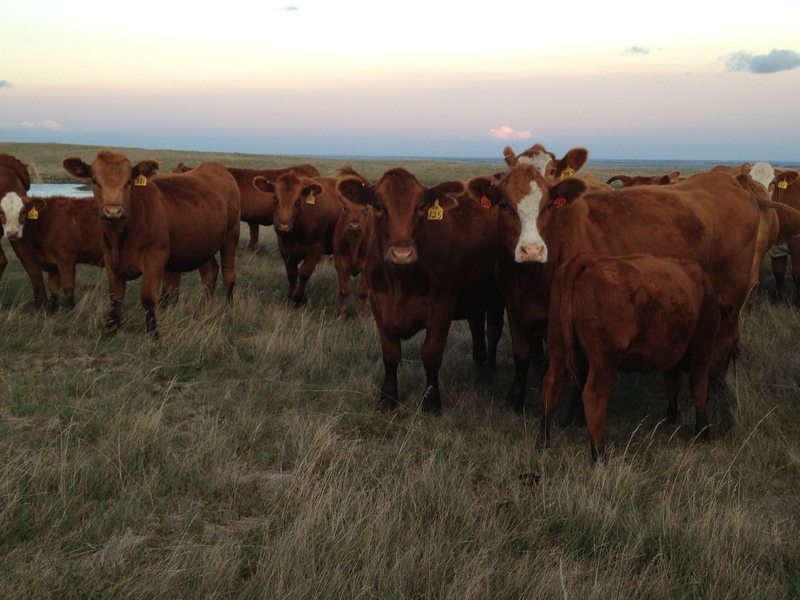 Then this fall as I was on beef cattle ranches I saw the saw things as cows on the pasture were relaxed and curious. And they were silent. And believe me, seeing that many redheads that quiet…. well, it was staggering! Then, when I worked cows in the Dakotas with the Wagners and watched as the Hadricks wean cows (golly gee that makes me sound like I actually know something about cattle doesn’t it?!) I saw the louder mooing end of the spectrum. 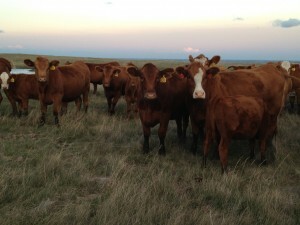 There are a lot of farm bloggers out here who write about their experiences and the cattle on their farms & ranches. All the ones mentioned above write about it occasionally. Val Wagner (who has all those redheaded cows and four sons) writes her Wag’n Tales several times a week! Stacy Hadrick finds time to post now and then about their ranch and her cowboy. Annie Link of Dairy Discovery who showed me around my first robotic dairy. Nicole Small who writes about her kids, cattle & crops. Carrie Mess who talks cows, tattoos and music all on DairyCarrie.com. Ashley Messing who invited me to attend my first ever dairy meeting & is in the process of going robotic. I’d love to know what your thoughts are on loams and other soils. This week I will be writing M, N, O, P, Q and R posts. Yes, we are on the downward slope will be brought to you by the group of letters I mentioned, so what do you think the word of the day should be each day this week? 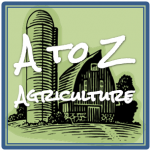 See the other posts in this series by clicking on the logo at right and reviewing the letters, or by browsing the A to Z ag tag archives. Hi. Just visiting from A2Z challenge. I live next to a dairy farm – there are elements of it that are less than pleasant – slurry pits spring to mind – along with the smell of old bedding straw!! Perhaps the strangest thing is that when I moved in I thought I would never be able to sleep through the sound of the milking machine starting at 4.30 a.m. Now I wake up if there is not the sound of the milking machine starting at 4.30 a.m.! Thanks for stopping by! That is too funny! I know what you mean about drawbacks. They happen in every neighborhood, mine is the sound of traffic, the fact you need blinds closed due to lights, etc. once I lived near an airport and the train tracks…. Drove guests nuts and I never heard any of it, but someone talking? Watch out! This was very interesting. I never realized cows only made noise when they were scared. Thanks for the lesson. Well scared or have something wrong. 🙂 Thanks for stopping by, will check out what you have going too! This morning one of my Jersey cows was mooing and I could not sleep because I was worried something was wrong. I looked out and saw her and she looked fine. She has another Jersey with her and i saw her also. Sometimes I think she is trying to communicate with the cows that live several pastures away from our farm. I grew up on a farm but moved away and 2 years ago was lucky enough to be able to move back to a farm. Just got the cows 5 months ago and love them. So sweet and innocent. Congratulations Martha! I am sure that sense of accomplishment will give you a lot of enthusiasm for the hard work you have going on! Enjoy the farm! awesome! Be sure you let me know how it goes!